Handmade so no tree is the same. Northwoods Green is a dark green tree with sprinkled browns and tans with a splash of light green making this a very realistic tree with lots of depth. 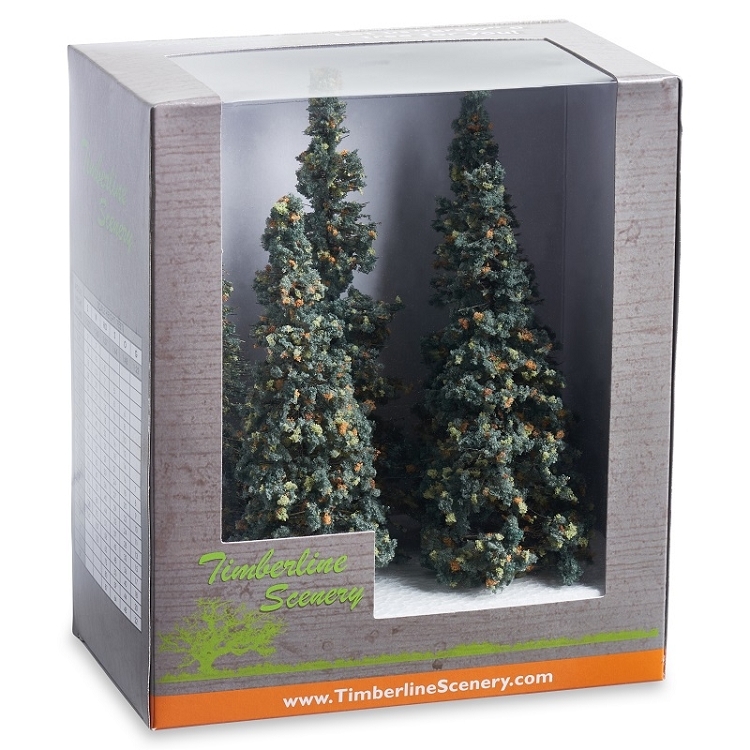 These standard Northwoods Green trees come with plastic stands (not included with trees over 6 inches tall) or can be mounted permanently without the stands. This tree is also available with a real wood trunk for the ultimate in realism. 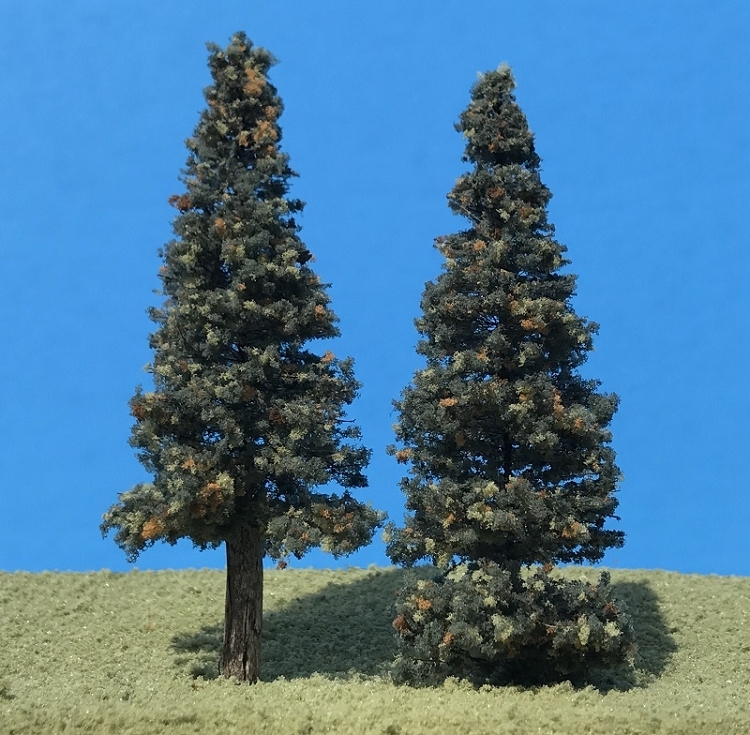 Available in multiple sizes and compatible with model railroad scales Z, N, HO, S, O, and G. Timberline Scenery's Northwoods Green Pine tree is a beautiful and realistic addition to your scenery project or layout.